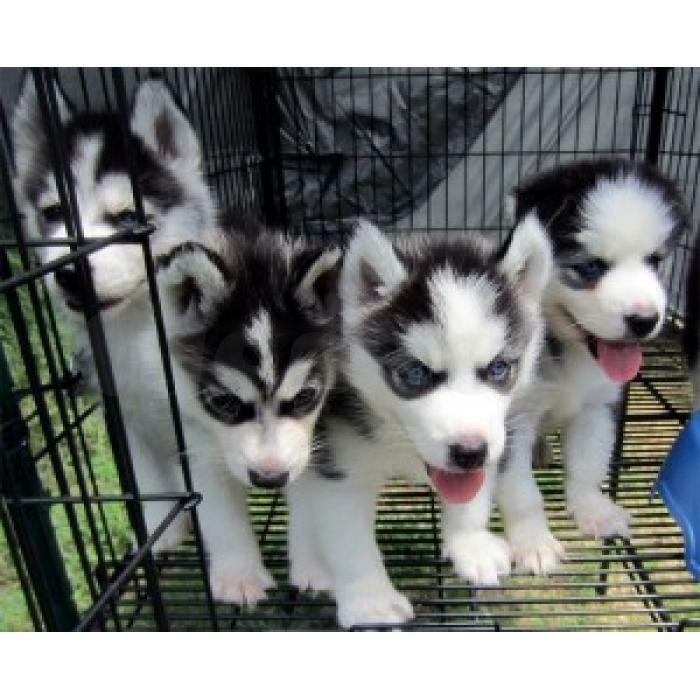 We have Siberian Husky puppies for Sale. There is 3 females and 3 males. Most of them are black and white. One is grey and white. The mother is a sable colour and the fathers is a black and white.